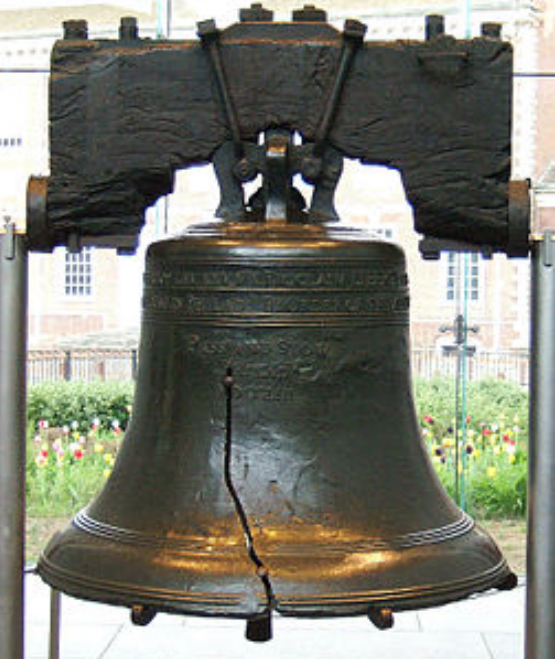 In 1846, the Liberty Bell was cracked while being rung for George Washington’s birthday. Did you know that Washington felt the new nation needed peace and unity and consequently opposed the formation of political parties? He thought they would give rise to career politicians who would seek to divide the nation based on ideology rather than do what was best for the country and its people. George, you’re awesome, man. Where are you? In 1846 the first baseball game was played (using modern rules). What do you think one of those players would have said if you told him that baseball players in 2013 were making $25 million a year – $10 million more than the entire national debt at the time? They’d probably look for the nearest cryogenics center. 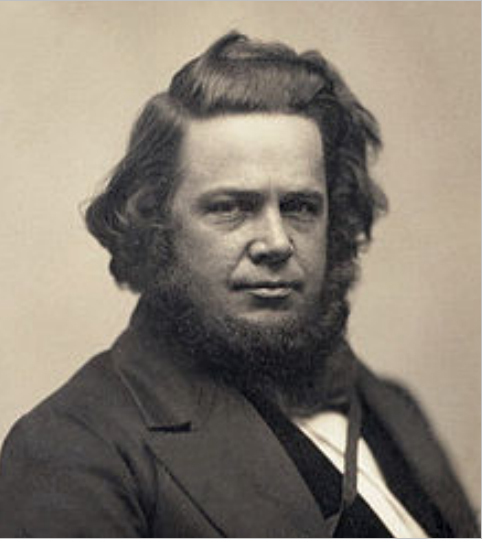 It was in 1846 that Elias Howe patented the sewing machine. Despite Howe’s patent, Isaac Singer started manufacturing a replica. Howe waged a 5-year legal battle defending his patent before Singer was finally ordered to pay him royalties. Both men made millions. Singer is still selling thousands of sewing machines every year. But don’t feel sorry for our boy Elias. No, no. He’s been positioned with rock and roll royalty: the closing credits of the Beatles 1965 movie Help! dedicates the movie to… Elias Howe. 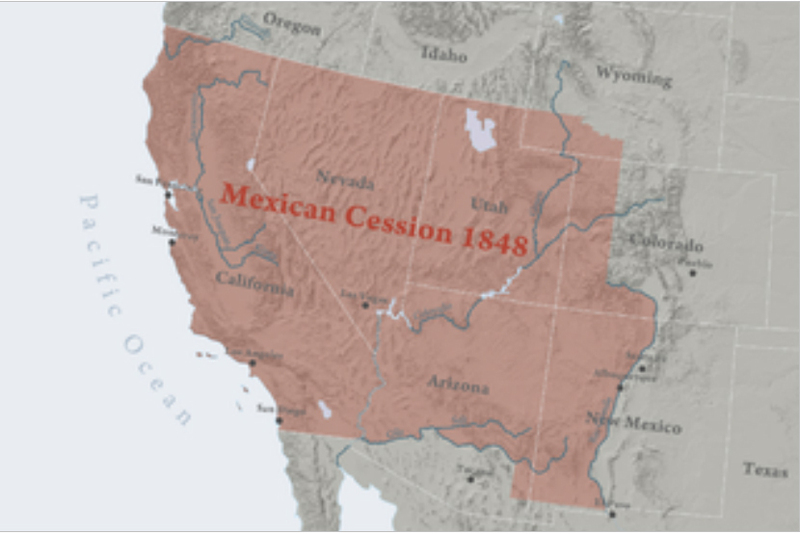 It was in 1846 that the United States provoked a war with Mexico and ripped off the American Southwest. I know, I know… but it’s true. The war was sold to the American public under the 19th century rubric of Manifest Destiny; the belief that it was America’s destiny – her God given purpose – to expand across the continent. There is another interesting promotion about a product that had it’s beginning in 1846. It’s not a PR campaign for American exceptionalism. It is an ad that invokes the iconic image of a mother and her infant child to sell a product that it claims is beneficial for both of them… beer. 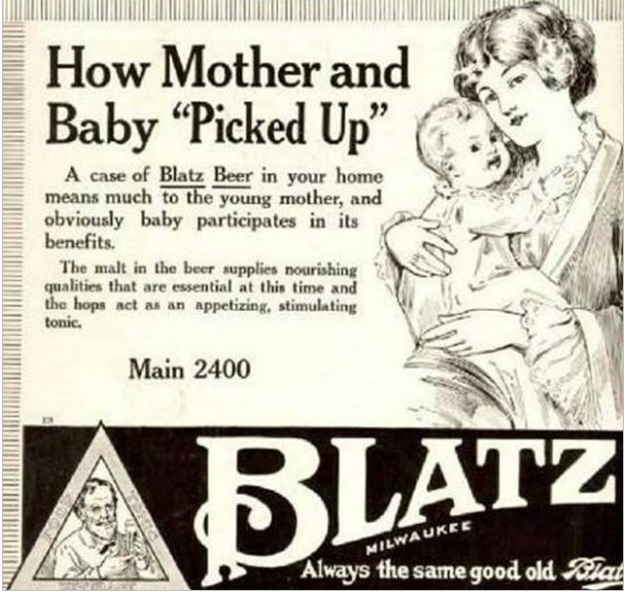 “A case of Blatz Beer in your home means much to the young mother, and obviously baby participates in its benefits. Right, right. Nothing more essential to a newborn than a case of Blatz. These people must have been snorting their own suds. The outlandish double talk – the beer “means much” and “baby participates in its benefits” – sounds like something out of a Nancy Pelosi press conference. Then again, this may have been the marketing ancestor to these modern day pharmaceutical commercials that promise to lift the cloud of depression but have troubling little side effects like bleeding eyes, diabetes, mania and suicidal thoughts. But I digress. The Blatz ad is actually anti-marketing. I mean did they really think new mothers and infants were a viable public for Blatz beer? Still, some marketing departments know how to communicate. Here is a commercial that promotes a global brand cleverly and creatively. Each of their products can carry it’s own positioning, but this is a great presentation of a master brand. And let me know if you need any help with your marketing. We can do things today they couldn’t do in 1846. We can survey almost any public: face to face, over the phone, or via the Internet (which is faster and less expensive).